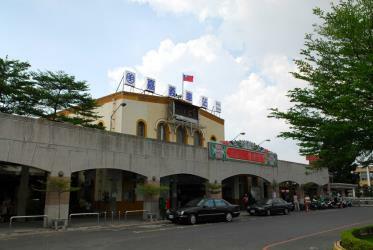 What is the cheapest way to get from Chiayi (Station) to Riyue Tan? The cheapest way to get from Chiayi (Station) to Riyue Tan is to train and line 801 train which costs $4 - $9 and takes 3h 50m. What is the fastest way to get from Chiayi (Station) to Riyue Tan? The quickest way to get from Chiayi (Station) to Riyue Tan is to taxi which costs $70 - $85 and takes 1h 19m. 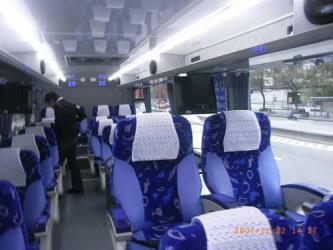 Is there a direct bus between Chiayi (Station) and Riyue Tan? No, there is no direct bus from Chiayi (Station) station to Riyue Tan. 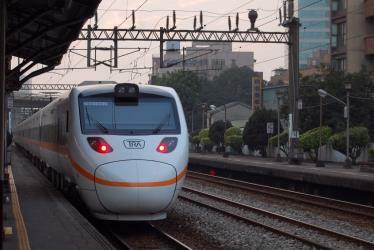 However, there are services departing from Chiayi Station and arriving at Sun Moon Lake via Liming Community and HSR Taichung Station. The journey, including transfers, takes approximately 3h 54m. How far is it from Chiayi (Station) to Riyue Tan? The distance between Chiayi (Station) and Riyue Tan is 65 km. The road distance is 96.3 km. How do I travel from Chiayi (Station) to Riyue Tan without a car? The best way to get from Chiayi (Station) to Riyue Tan without a car is to train and line 801 train which takes 3h 50m and costs $4 - $9. How long does it take to get from Chiayi (Station) to Riyue Tan? 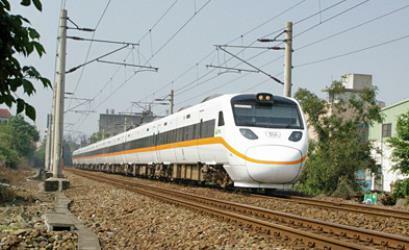 It takes approximately 3h 50m to get from Chiayi (Station) to Riyue Tan, including transfers. 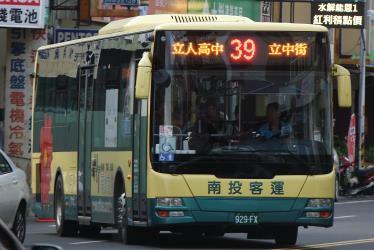 Where do I catch the Chiayi (Station) to Riyue Tan bus from? 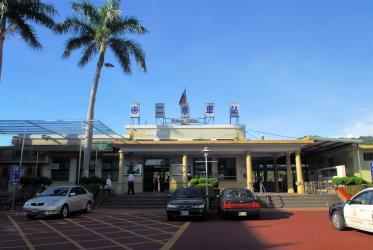 Chiayi (Station) to Riyue Tan bus services, operated by Taiwan Bus, arrive at Chiayi Station. 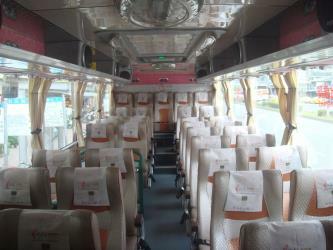 Train or bus from Chiayi (Station) to Riyue Tan? The best way to get from Chiayi (Station) to Riyue Tan is to train and line 801 train which takes 3h 50m and costs $4 - $9. 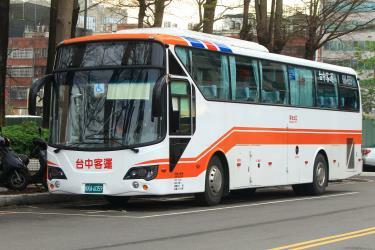 Alternatively, you can bus via Taichung, which costs $9 - $16 and takes 3h 54m. 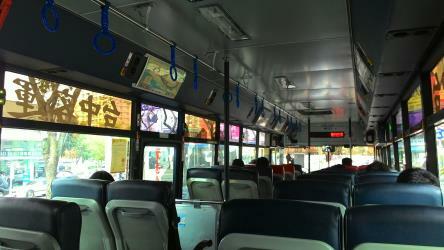 Where does the Chiayi (Station) to Riyue Tan bus arrive? 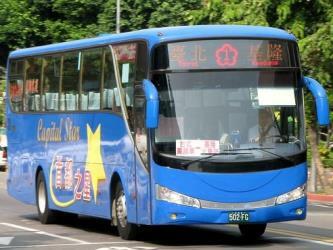 Chiayi (Station) to Riyue Tan bus services, operated by Nantou Bus, arrive at Sun Moon Lake station. Can I drive from Chiayi (Station) to Riyue Tan? Yes, the driving distance between Chiayi (Station) to Riyue Tan is 96 km. It takes approximately 1h 19m to drive from Chiayi (Station) to Riyue Tan. What companies run services between Chiayi (Station), Taiwan and Riyue Tan, Taiwan? You can take a train from Chiayi (Station) to Riyue Tan via Ershui, Shuili, and Shuili in around 3h 50m. Alternatively, you can take a bus from Chiayi (Station) to Riyue Tan via Taichung, Liming Community, and HSR Taichung Station in around 3h 54m. Rome2rio's Travel Guide series provide vital information for the global traveller. Read our range of informative guides on popular transport routes and companies - including South Korea: Travelling from Seoul to Busan , 4 stunningly beautiful Philippines islands you need to visit and Is ride-sharing platform BlaBlaCar right for you? - to help you get the most out of your next trip. Where can I stay near Riyue Tan? There are 408+ hotels available in Riyue Tan. Prices start at $51 USD per night. Sun Moon Lake (; Thao: Zintun) is the largest body of water in Taiwan as well as a tourist attraction. Located in Yuchi Township, Nantou County, the area around the Sun Moon Lake is home to the Thao tribe, one of aboriginal tribes of Taiwan. Sun Moon Lake surrounds a tiny island called Lalu. The east side of the lake resembles a sun while the west side resembles a moon, hence the name. The Formosan Aboriginal Culture Village is an amusement park in Yuchi Township, Nantou County, Taiwan which has been in operation since 1986. It is distinctive for its Formosan aboriginal culture theme. The park contains the tallest free-fall ride in Taiwan as well as Taiwan's largest European gardens and bell tower. Paper Dome is a temporary church building constructed using paper tubes as structural elements. It was designed on a pro-bono basis by Shigeru Ban, internationally known Japanese architect who is renowned for his paper tube structures and buildings. This temporary structure was built on September 17, 1995 to serve as a temporary church for Takatori Catholic Church after the Great Hanshin earthquake. Nonetheless, the venue was not only limited for use to religious worship but also used as a place for communal gatherings. However, when the church community planned to build a permanent building, the structure was donated to Taomi Village in Puli Township, Nantou County,Taiwan which had suffered the 921 earthquake in 1999. The deconstructed structure was shipped in 2006 to Taiwan, reconstructed there and is now one of the top tourist attractions in that area. The Xiangshan Visitor Center is a visitor center overlooking Sun Moon Lake in Yuchi Township, Nantou County, Taiwan. 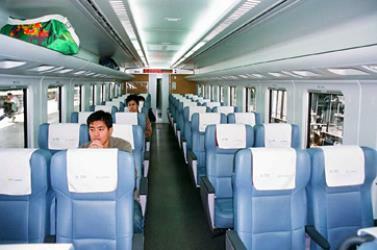 Rome2rio makes travelling from Chiayi (Station) to Riyue Tan easy. Rome2rio is a door-to-door travel information and booking engine, helping you get to and from any location in the world. 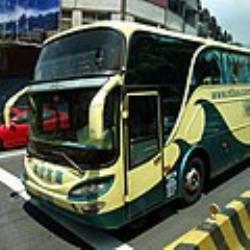 Find all the transport options for your trip from Chiayi (Station) to Riyue Tan right here. Rome2rio displays up to date schedules, route maps, journey times and estimated fares from relevant transport operators, ensuring you can make an informed decision about which option will suit you best. Rome2rio also offers online bookings for selected operators, making reservations easy and straightforward.